The HomeWorks® QS processor provides control and communication to HomeWorks® QS system components. The Ethernet links allow communication to the HomeWorks® QS software, integration with third party systems and communication between multiple processors. 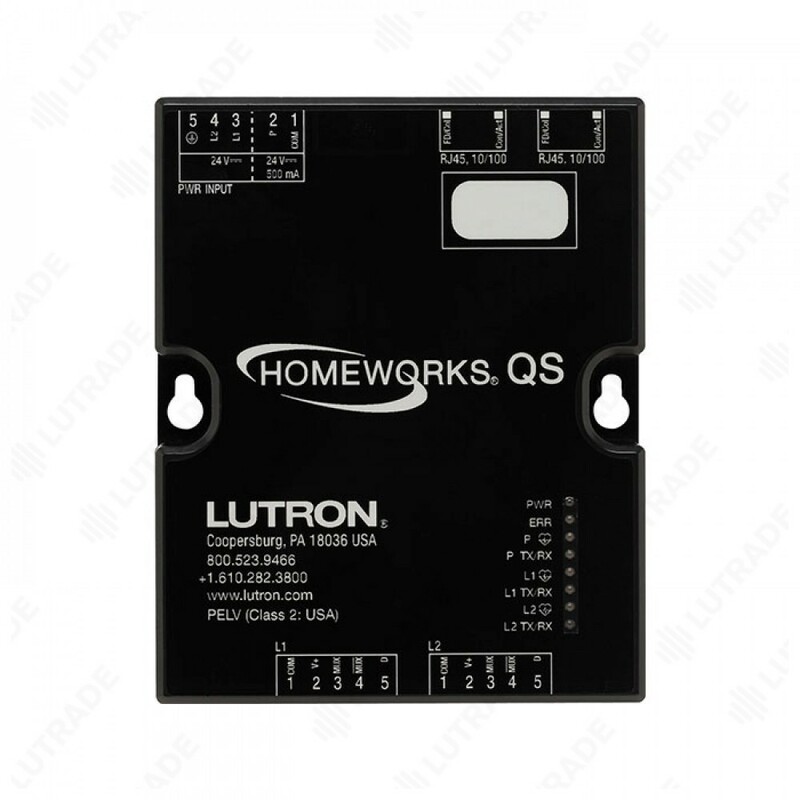 HomeWorks® QS processors may be connected using either standard networking or using ad-hoc networking. All processors on a project must be connected to a single network. 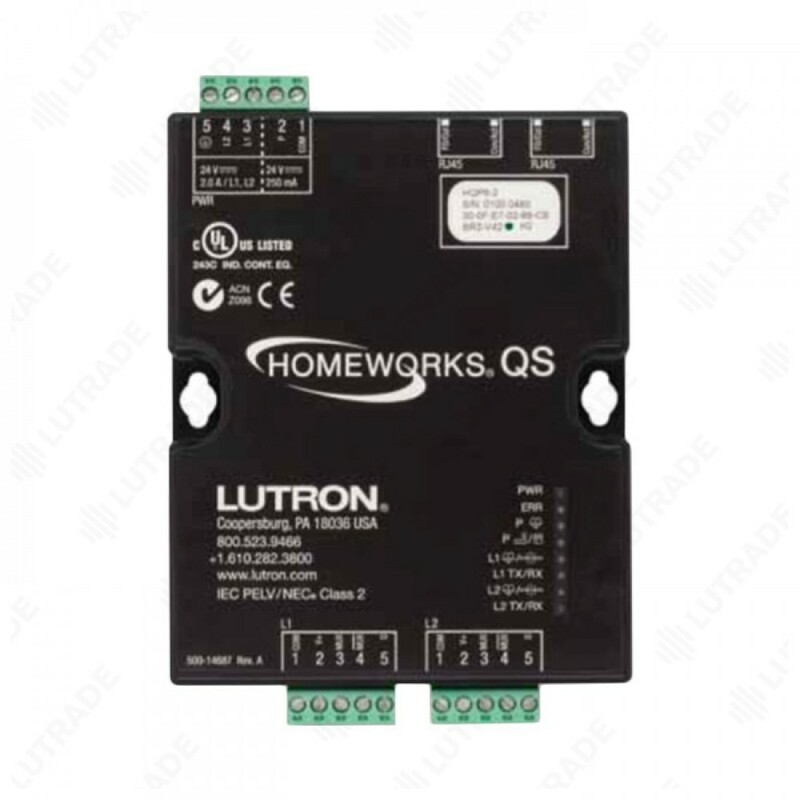 The HomeWorks® QS software and all integration equipment must be connected to the same network as the processors. The processor is powered from the QSPS-DH-1-75 or QSPS-DH-1-60 power supply. 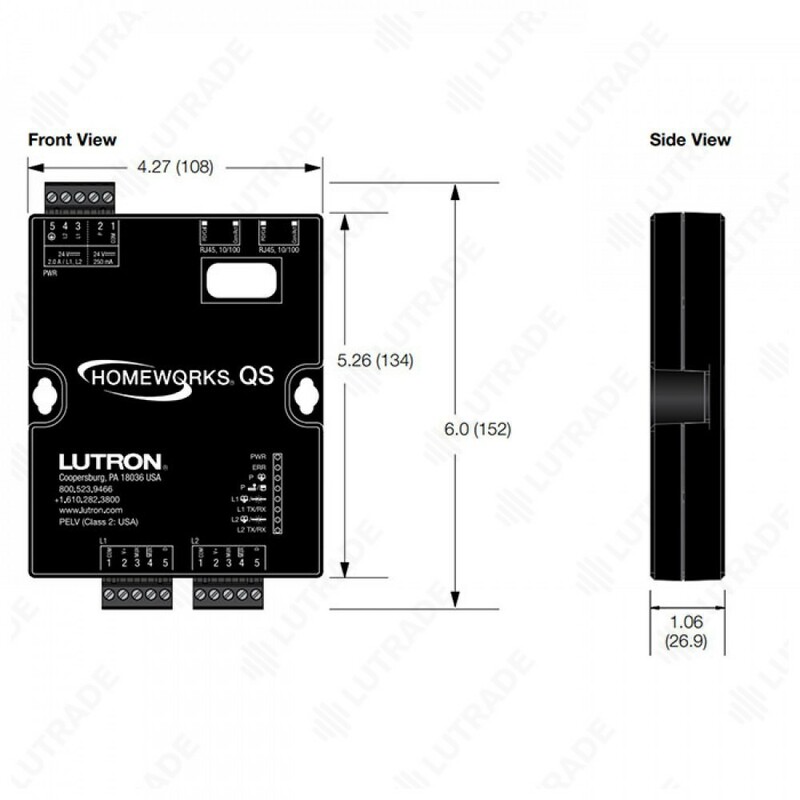 Refer to the HomeWorks® QS software to determine link power requirements. 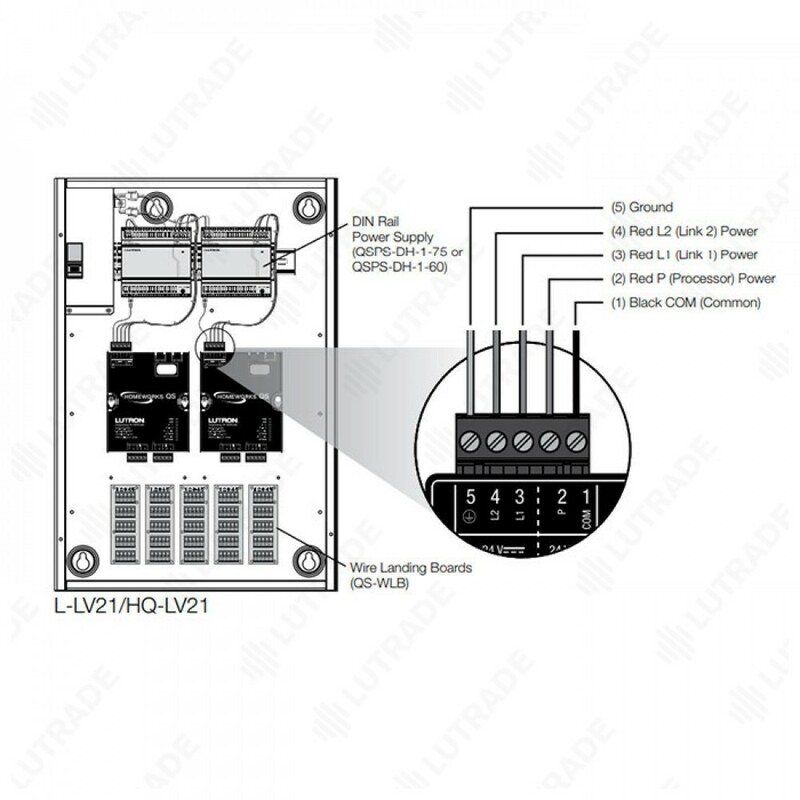 The HomeWorks® QS processor can be installed in a HQ-LV21, L-LV21, L-LV14, or PNL-8 enclosure. • All terminal block inputs are over-voltage and miswire protected against wire reversals and shorts. 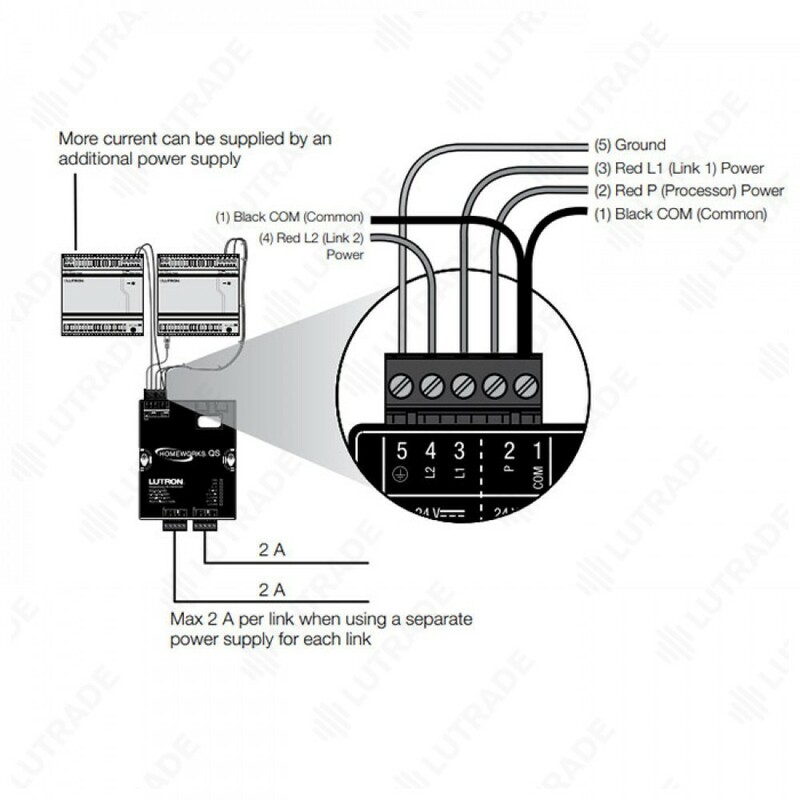 • Two 5-pin removable terminal blocks* for Links 1 and 2. • One 5-pin removable terminal block* for Power Input. • Two RJ45 standard Ethernet connections. *Each terminal will accept up to two 18 AWG (0.75 mm2) wires.